If you live in China (or plan to go there in the near future) and you have extra amount of money to spend, you may want to consider buying yourself a luxury coupe from German automaker BMW. 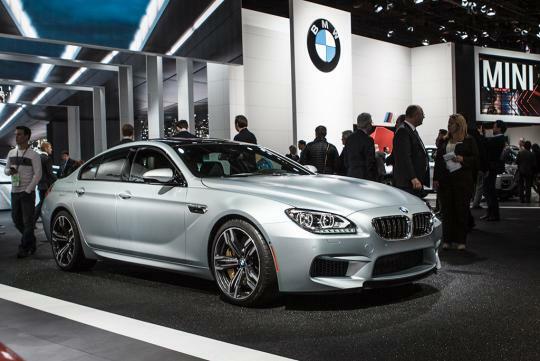 Introduced for the first time back at this year's Detroit Motor Show, BMW is planning to start selling the M6 Gran Coupe in a wide range of countries, including China where the model has already made its debut. Let me remind you, to me, the BMW M6 Gran Coupe is nothing less than a very luxurious four-door coupe that will not hesitate to take you to the century sprint in only 4.2 seconds. Under its hood, the coupe packs a 4.4-litre twin-turbo engine which has the capability of delivering the power of no less than 560 horses in addition to 680Nm of torque in total. In order to sell the model in the origin country of pandas, the German automaker has teamed up with Brilliance, a local company, and they both have planned big things for the said coupe. Well, last but not least, as far as the price tag is concerned, BMW is demanding 2,390,000 yuan (around S$493,000) in exchange for a M6 Gran Coupe. Well, are you interested?